The remastered version of Phantom Dust came out yesterday on Windows 10 PC and Xbox One, for free (you can download it here). We’ve played quite a bit of it and you can check out some gameplay of the PC version running at 4K resolution below. To celebrate the launch, Microsoft hosted a live stream on Twitch where Publishing Director Adam Isgreen made it clear that the game is free in order to invite people to play it. 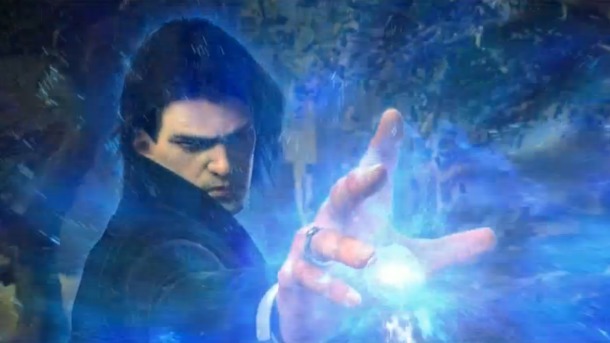 If Microsoft sees a lot of activity especially in multiplayer, it will be a lot easier for him to convince executives to fund a new Phantom Dust and possibly even look into adding new characters and levels to this remaster. Originally, we were working on a remake for Phantom Dust. So, here’s the deal: the more people play this version of Phantom Dust, the more people you can get to play…Just play multiplayer, get your friends to play. That makes the conversation about doing more with Phantom Dust in the future super easy. And that’s the only thing I’ll ask of the fanbase of the game, just play. Play multiplayer! Get more people to experience the game. That’s all I need. Easy conversation for me to say “Hey, we want to do more of Phantom Dust”. And it makes it super easy for the people I work for, Phil [Spencer] and everybody else, to say “Okay, get to it”. So I guess that’s the catch. When we released the game, people said “Is it going to be free? Where’s the catch?” We want to do more of Phantom Dust, that’s the catch! Play it. Maybe we’ll even figure out how to put new levels, new characters into this game. We’re going to try. No promises. The game originally launched in 2004 and was directed by Yukio Futatsugi, known mostly as the creator of the Panzer Dragoon franchise. It became a cult hit over time, mainly for its innovative mix of action combat with extremely deep deck-building elements. As mentioned by Isgreen, Microsoft had been working with Darkside Studios to create a full remake but the project was officially canceled on February 17th, 2015; you can find the whole story about that on Kotaku. Another project might be funded now, provided that Microsoft is satisfied with the player activity for this remaster. The game is certainly worth a try; it also supports cross-play and cross-save between PC and Xbox One, thus fulfilling the requirements of an Xbox Play Anywhere title.